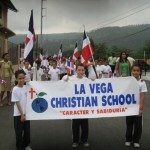 La Vega Christian School, founded 1998, is the first Evangelical (protestant) K-12 school in the city of La Vega (pop. 350,000), the third largest city in the Dominican Republic. We currently have 300 plus students in our facility (2015).The campus is on three acres in a developing neighborhood close to the mountains. The present building has twenty eight spacious classrooms, a science lab, cafeteria, preschool playground, soccer field, volleyball court, and basketball court. Our Spanish program serves students in grades Kindergarten through High School. 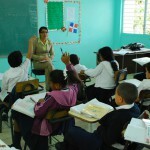 Students benefit from small class sizes, Christian teachers, daily English classes, Science and Computer Labs, and various extra-curricular activities. The English program uses the School of Tomorrow curriculum to educate students whose first language is English, or who want to gain fluency in English. 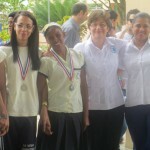 Both the Elementary and High School programs have earned official recognition from the government of the Dominican Republic and in 2010 the High School Program became fully accredited.Through the Ruthie Martinez Children’s Fund the school has partnered in providing hundreds of children from poor rural areas a quality private school education. How Can I Help from the U.S.? 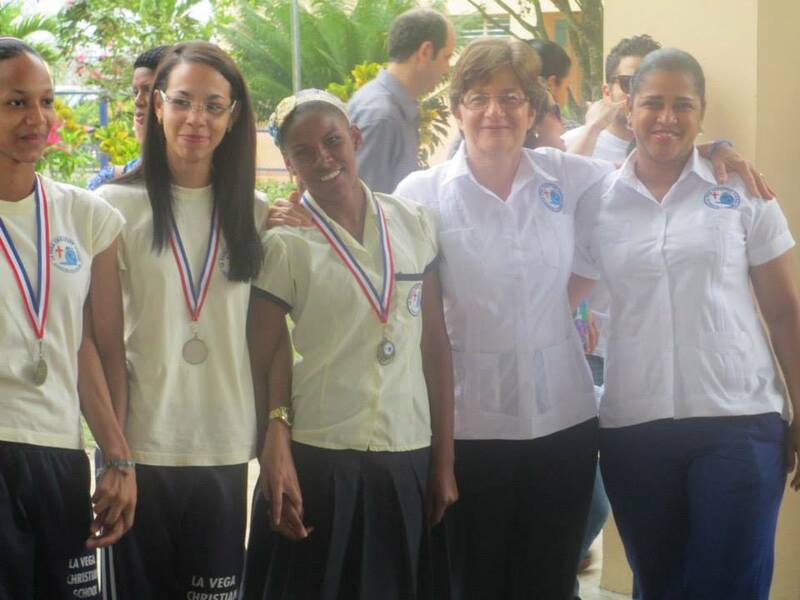 We’re convinced that it was in answer to the prayers of God’s people that we’ve been able to build and operate La Vega Christian School. God listens to the prayers of his people. We know that God’s people are praying for us and for this much-needed project. Thank you for being a part of this ministry. Our victories are your victories! God bless you, dear ones! The school provides scholarships to help students with limited resources through the Ruthie Martinez Children’s Fund. Also, any Pastors’ child can receive a half scholarship from the school. You can help by pledging a half or full scholarship, at $35 or $70 per month. High school scholarships are $75 monthly. Some sponsors like to help with the cost of books and uniforms, which is a big help to the parents. You’ll get a photo of the student you sponsor, and you can exchange letters with your little scholar. Be assured you’ll have a family in the Dominican Republic praying for you! If you can’t commit to a monthly pledge, but yet God is leading you to help us, please consider sending a single offering. Our teachers’ salaries and operating expenses are covered by scholarship donations and tuition fees, but we depend on additional donations for physical plant improvements. We can always use teaching materials, pencils, markers, crayons, art supplies, chalk, basketballs, soccer balls, and playground equipment! Please contact us if you would like to donate materials, so we can arrange the best method of shipping. Unfortunately, our tuition income cannot cover campus construction costs. We still depend on work teams and donations to keep these costs at a minimum. Thank you and God bless you! Thanks for your faithfulness! We appreciate and pray for you. Please keep in touch. You’ll get a receipt for tax purposes. 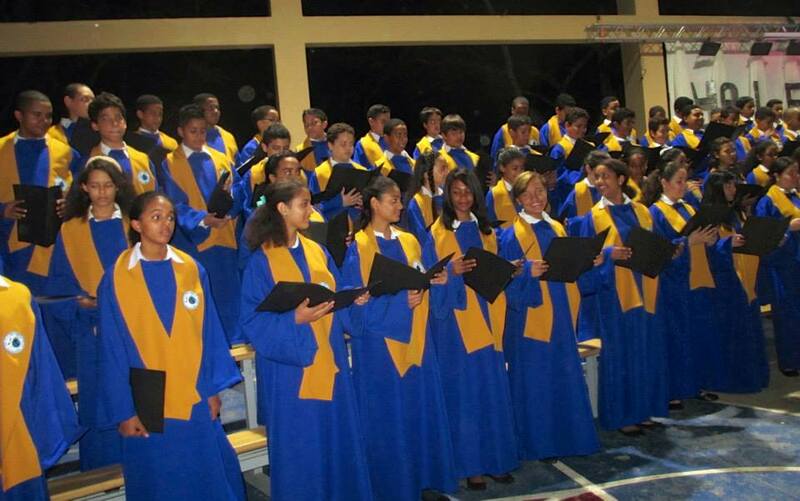 How Can I Serve in the Dominican Republic? We need teachers for the English program, grades 1-12. School of Tomorrow offers training each summer for supervisors and monitors. You don’t need to speak Spanish to teach English, though it would certainly be a plus. We provide a stipend to help with room and board costs, but missionary teachers are expected raise missionary support for extra expenses. 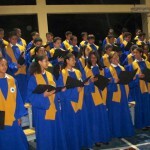 Is the Lord calling you to come for a year or more and make a difference in the lives of these precious young people? 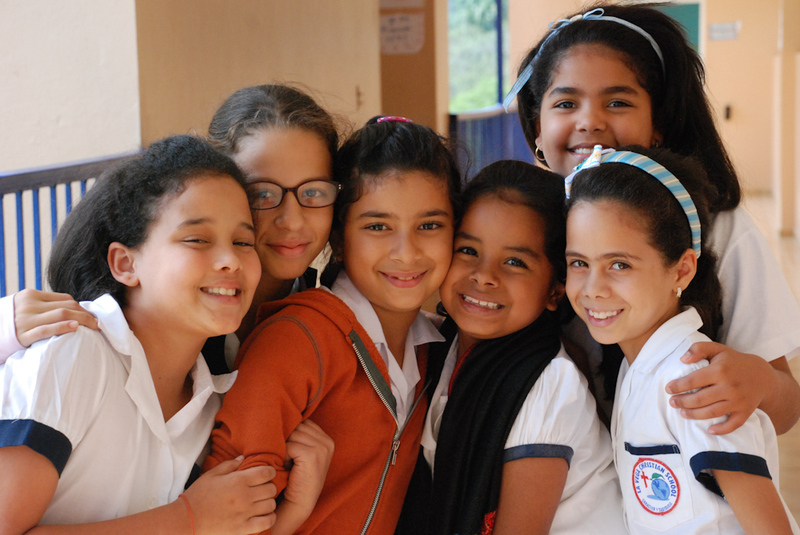 Watch this video to hear from people JUST LIKE YOU, who decided to invest in the lives of the children in La Vega. 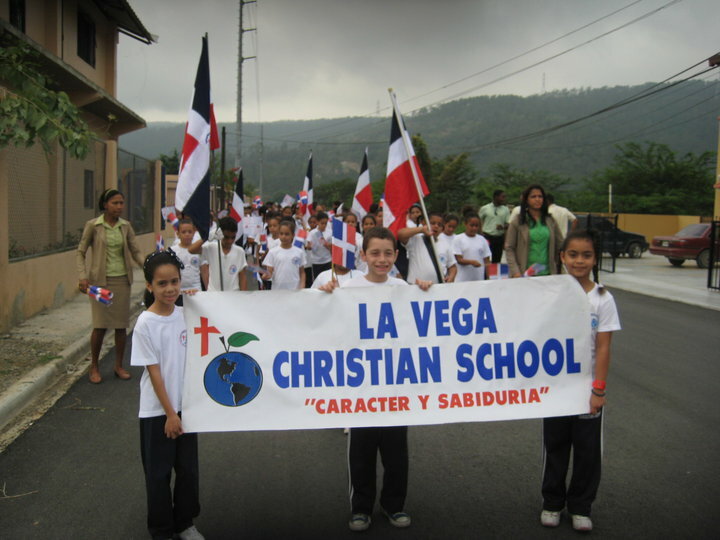 La Vega is the least evangelized city in the Dominican Republic. 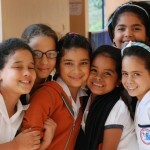 We believe this school is ordained by God to reach, teach, and disciple boys and girls and their families for Christ. We’ve already seen many wonderful changes in the lives of our students and their families. 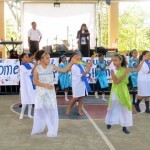 For the glory of God, this school has been built by teams of young people from churches and schools in the U.S. The Martinez family had the honor of hosting many short term missions groups. There are exciting opportunities for evangelism, construction, youth and children’s ministry, sightseeing, and more. Come and see for yourself how the fields are white unto harvest! Building a separate High School facility. Purchasing adjoining properties to expand. If you are interested in helping with any of these needs, please contact us at lavegschool@gmail.com . 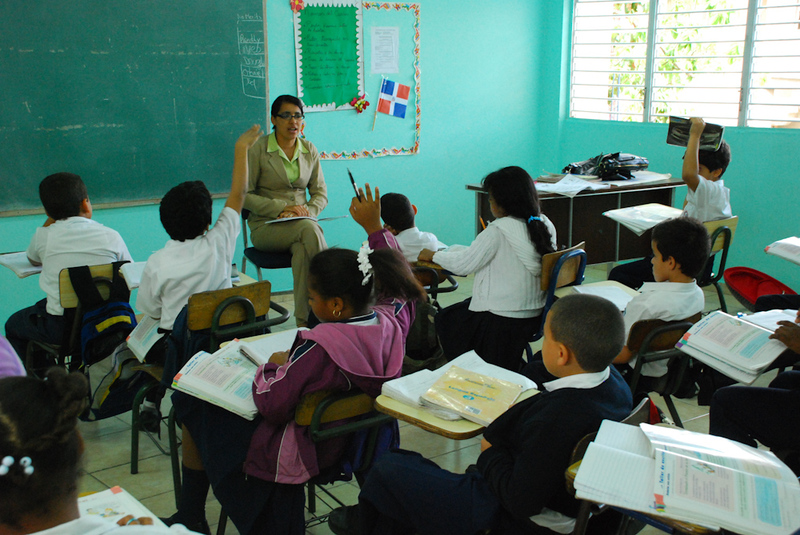 You can be an important part of the ministry of La Vega Christian School by serving as a missionary teacher. Needy children are hoping for a scholarship. The school is growing each year, which means more construction and better facilities. Supplies are needed for the merit store. Short term teams are welcome to help with evangelism, construction, youth and children’s ministry. Be a prayer partner! 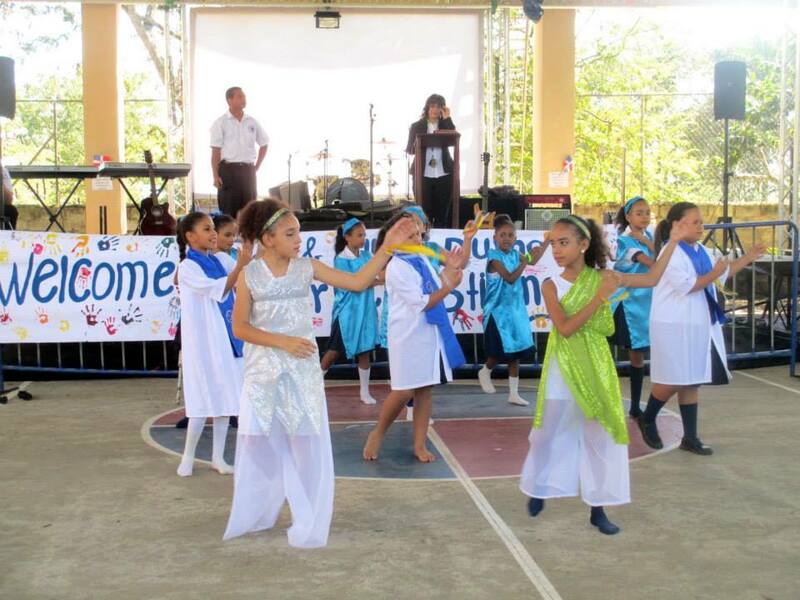 Be a part of the harvest field in the Dominican Republic. Que Dios te pague — may the Lord repay you. We want to hear from you! Contact us for an application or informational packet.